Gaze out to sea, watch the sunset on the horizon, load up the wood burner or walk from the front door along this utterly magical stretch of coastline. 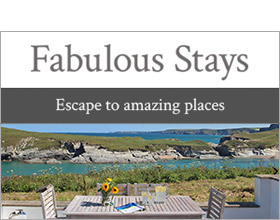 Nestled beside the St Ives to Land's End coast road, Bal View is perfectly placed for fans of the Far West and the magnificent tall granite cliffs and hidden smugglers coves seen on the BBC's Poldark. Within paces of the property, is a prime filming location for the series at the world famous and wonderfully nostalgic Geevor Tin Mine heritage site and museum. Impeccably refurbished from tip to toe to an excellent standard, this romantic seaward facing granite cottage is set in Area of Outstanding Natural Beauty in the small village of Trewellard. Within a short stroll is the iconic Pendeen Lighthouse, secluded Portheras Cove Beach and a village pub, coffee shop, meadery and convenience store. There are miles of sandy beaches and rugged coastline to explore for spectacular views, wildlife, walking, fishing and water sports. Head out on foot along the stunning coast path or by car or bike along the coast road, voted the UK's most scenic. Discover world class beaches, restaurants, old inns and galleries at surfy Sennen and the cosmopolitan resort of St Ives plus landmark attractions at Land's End and the open air Minack Theatre at Porthcurno. Return from rambling escapades to pure comfort and simple elegance. Bal View delivers the luxury of quality and style without any compromise on individuality and character. During the cooler months, snuggle up beside the cosy wood burner on deep sofas and armchairs upholstered in rich colours and adorned with luxurious cushions and throws and admire the seascape. Step from the sitting room into an impressive kitchen dining room laden with top brand appliances and traditional features. In summer, spill out onto an enclosed sun-trap courtyard garden, which is well screened from view, for sunbathing, barbecues and alfresco meals. There are three sumptuous bedrooms on the first floor and a brand-spanking new bathroom with a deep, stress-busting stand alone bath and a separate shower. With a coastal location, excellent accommodation standards and an informal vibe, this is a fabulous all-season holiday venue. Ground floor with sitting room with wood burner and smart TV. Kitchen and dining room. One flight of stairs to first floor with two double bedrooms and one single bedroom. Bathroom with bath and walk-in shower. Trewellard is a small village on the north coast road between St Ives and St Just. Located in an Area of Outstanding Natural Beauty, there are plenty of lovely walks in the surrounding countryside and along the coast. The area around Trewellard was once heavily involved in the tin mining industry, and as such, the village is now a Site of Special Scientific Interest. Geevor Mine, just outside the village, was one the last few working tin mines in Cornwall, finally closing in 1990. The mine is now a museum. Levant Tin Mine, also just outside Trewellard, is now owned and run by the National Trust. The cliffs just below Trewellard offer fantastic rock climbing opportunities. Trewellard has two restaurants – one of which is a Medieval-themed ‘Meadery’ – and a pub.